If you want to sing, this is the software for you ! ‘Just sing’ is a mix between a karaoke and a recording studio, and its FREE !! 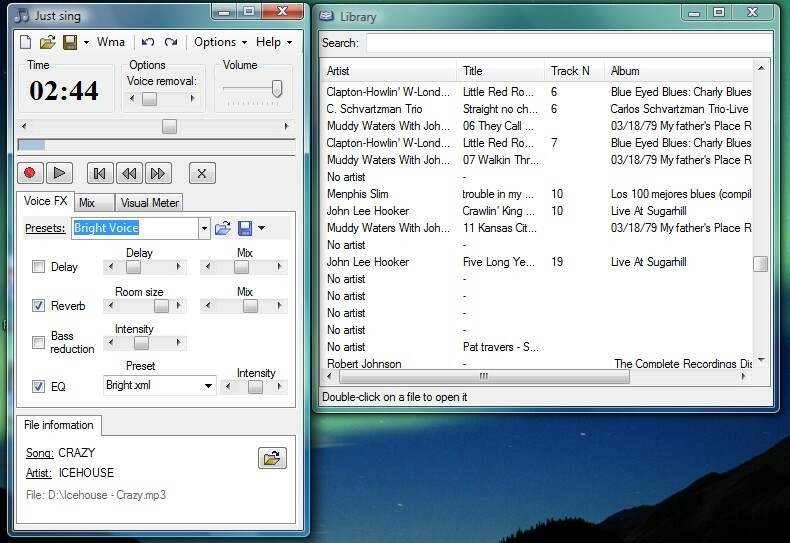 Just connect your computer microphone, and record yourself singing with your favorite songs. Everything needed is packed into a single window, and you’ll learn to use the software in a minute. Use the studio effects provided with the software to make your recordings sound PRO. Forget about complex audio software. Just focus on singing, and let the software do the rest !